Question Evolution! 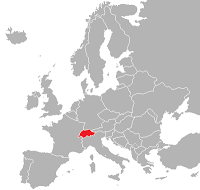 : Switzerland, a beacon of European creationism, has the world's most competitive economy. Also, America (a land of creationists) is expected to dominate the world economy for years. Why are evolutionists such slackers? Switzerland, a beacon of European creationism, has the world's most competitive economy. Also, America (a land of creationists) is expected to dominate the world economy for years. Why are evolutionists such slackers? The pro-evolution Wikipedia was founded by an atheist and an agnostic. 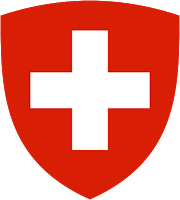 According to their article on Switzerland, "Switzerland is one of the richest countries in the world by per capita gross domestic product, and has the highest wealth per adult (financial and non-financial assets) of any country in the world. Zurich and Geneva have respectively been ranked as the cities with the second and eighth highest quality of life in the world. But proponents of creationism contend that most Swiss want creationism taught alongside evolution in biology class. A survey commissioned by the Christian organization Pro Genesis earlier this year found 80 percent of Swiss want creationism taught in schools, according to swissinfo. Meanwhile, an international survey last year found 30 percent of Swiss reject evolution – one of the highest rates in Europe. According to the website Swiss.info.ch creationism is growing in Switzerland. Specifically, the website declares: "more Swiss are joining these movements".